installs competitively priced film for your business. Turn to Wilson Glass Tint to benefit from energy savings, improved comfort, and increased productivity. 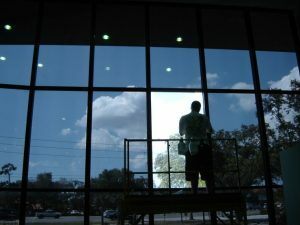 Since 1985, our company has been helping businesses beat the Houston heat with window film installation. Our services cover windows in cars, houses, and business buildings. With our tints, you get our professionalism installation, plus a lifetime warranty. Reach out to us for service. Reduced Energy Costs – How much of your budget is going to keeping the building cool? 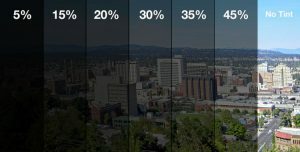 That amount decreases with the addition of window tint. The application of tint blocks the sun’s heat, thus lowering the inside temperature and requiring less energy to operate the AC. While preventing infrared reds from warming up the inside during the summer, window film also works to keep the heating from escaping outside during the winter, reducing your heating costs. Decreased Glare – Windows add welcome natural light, but that light creates problems when it causes glare and makes it difficult to see computer screens. An application of window tint lets in light, but stops the glare, allowing employees to work productively. Fading – Everyone enjoys sunshine, but it does take its toll on the office furnishings. Glass alone isn’t enough to safeguard the fabric in furniture, curtains, and carpeting to keep from fading. This also applies to artwork. Window tint allows for filtered light that protects your furnishings. We stand behind the quality of our commercial window film with a factory-backed lifetime warranty. pay to have paper written Find our company to offer you lower prices, higher quality, and longer durability than our competitors’ for installation services at your business building. Call us to schedule service. Contact us today to find out more about how window film is good for your business. We proudly serve customers in Houston, Texas. Copyright 2019 © Wilson Glass Tint. All Rights Reserved.